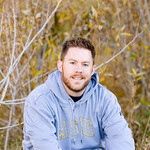 Jed Strahm is a Phoenix Arizona based photographer and is interested in delivering absolutely the best results for his clients. He shoots with Canon professional equipment, his darkroom is a Mac and Adobe Photoshop is his developer. Please contact Strahmphoto with additional questions.